"Has a great sense of atmosphere and visuals. The only drawback is that it is short enough to complete on a lunch break, though some people may find that a bonus!" I enjoyed the first part, but couldn't finish this one because it crashes on a cutscene (AGS Script error). Loved it! Can't wait for the third game!!! I had no idea what was going on but, I loved this game. Great graphics and atmosphere, nice puzzles(although there were very few), and I love the music. Can't wait for the third! I was surprised at the so far low rating for this game. This game is pretty much on a professional level. Atmospherically, it plays like the opening of a really neat game with an eerie, horror feel that really makes you fear where it's headed. The ONLY drawback of this game is that it's too short! But I understand that undertaking a long game without any funding or time is probably the reason it isn't longer. That can only be helped by fans like us that encourage this wonderful gamemaker and his friends to continue making games!! Well whatever the fan vote, he's definitely got mine! It was a real pleasure to play this game, even tough it was extremely short and with far too easy puzzles. I was fully immersed in the game, can't wait for a sequel! Like the others: great graphics, great atmosphere, good ideas but too short and a bit too easy (more an interactive story than a real game). Anyway, I recommand it for download as I enjoyed playing it. The atmosphere was just really great, especially the sounds. The game was really short but my biggest problem was the complexity of the story, I am not sure I understood it all, maybe because I played the first vignette a long time ago. Nevertheless, if the full game is as polished and atmospheric as these vignettes, it will be really great, I do not doubt it a second. Really great game - if you want to call it that. Someone else said interactive story, I go along with that. I loved the graphics; too easy and short though - I am not into reading a lot of stuff during games. Have to play it though - recommended. 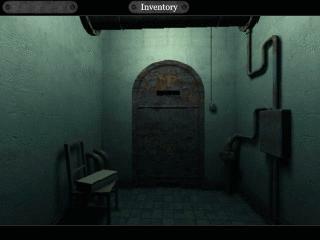 Creepy, great atmosphere, puzzles way too easy, rather an interactive story. Absolutely brilliant and one you must play............. author really knows how to create suspense, hope theres another episode soon.